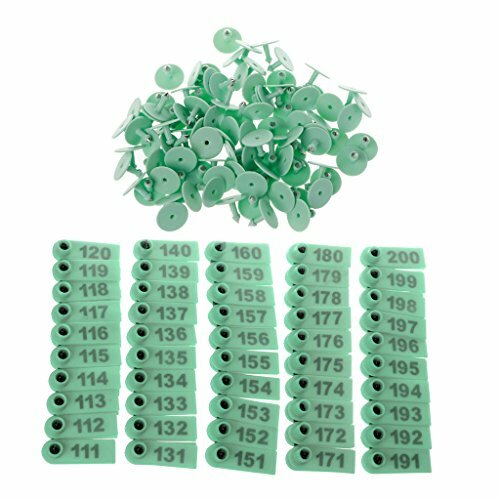 Livestock ear tag for sheep, goat etc, the numbers are 101-200, easy to manage your animals. The numbers on the ear tag is for laser printing(not ink printing), not easy to fade. Ideal for the information management of livestock and animals. If you have any questions about this product by Tebatu, contact us by completing and submitting the form below. If you are looking for a specif part number, please include it with your message.